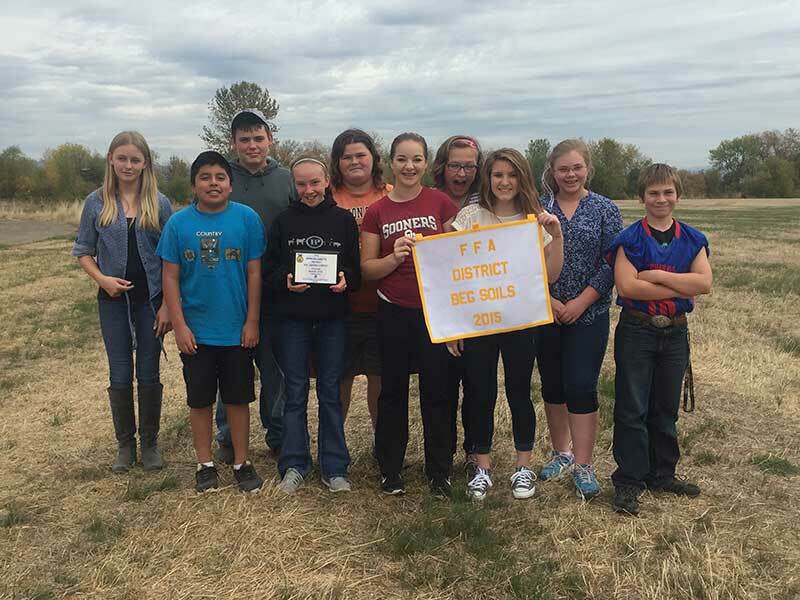 Home Central Linn Spotlight 2015 FFA Soils C.D.E. 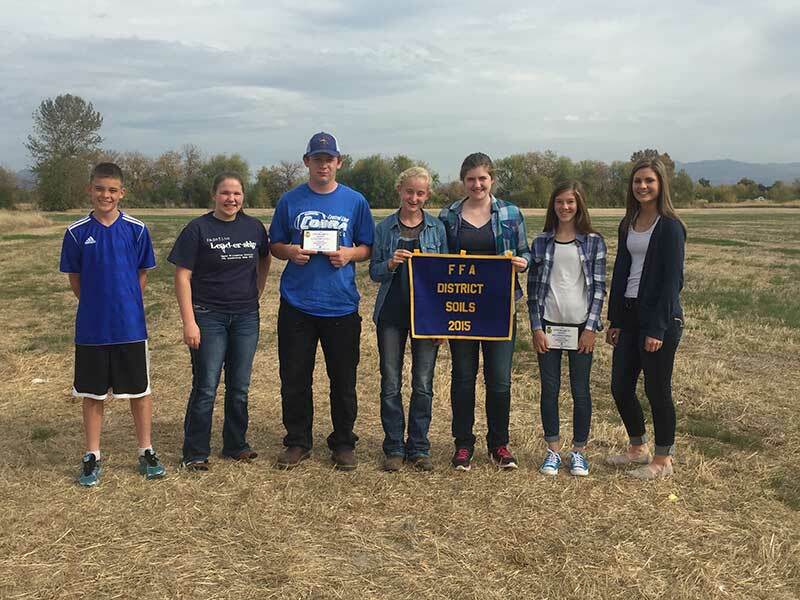 On October 6, the Central Linn FFA Chapter hosted and competed in the 2015 Upper Willamette District FFA Soils Career Development Event. The competition took place at Oakpark Farms north of Halsey. Over 150 FFA members and Agriculture Education students from Scio, Lebanon, Santiam Christian and Central Linn evaluated four soils pits. The top three individuals (in Beginning and Advanced divisions) got plaques sponsored by the Linn County Soil and Water Conservation District. Several Ag. students attended practices during Friday school and received additional help from Mark Running (former CLHS Ag Instructor), as well as learned about soils during class time. Out of the top ten individuals, seven were from Central Linn FFA. The Central Linn Advanced Team took home first place honors and the Beginning Team won third place. Members who received Top 10 individual awards included, in the Advanced contest: Case Goracke, Jessica Neal, Colton Running, Abby Stutzman, Claira Goracke, Colleen Kaczmarek, Hana Harris and, in the Beginning contest: Meg Neuschwander. Great Job Central Linn FFA!! Also we would like to thank all those supporters who helped with the contest and to the FFA Alumni who provided lunch after the contest.